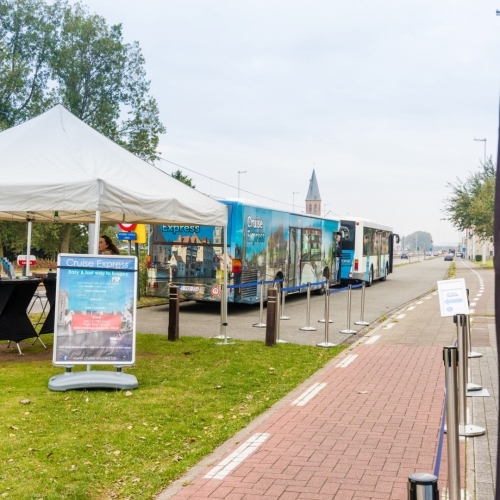 Our buses depart from Bruges to Zeebrugge every 30 minutes. We adapt our departure hours to the timetable of your cruise ship. The first bus back in the afternoon departs 4 hours before embarkation, the last one 1 hour before embarkation. The embarkation and departure point in Bruges is located on the Bargeplein in Bruges.